Take Notice that tenders are invited for the purchase of the lands described below and will be received until 3:00 p.m. local time on June 30, 2016, at the Town of Gravenhurst Municipal Office, 3-5 Pineridge Gate, Gravenhurst. The tenders will then be opened in public on the same day as soon as possible after 3:00 p.m. at the Town of Gravenhurst Municipal Office, 3-5 Pineridge Gate, Gravenhurst. 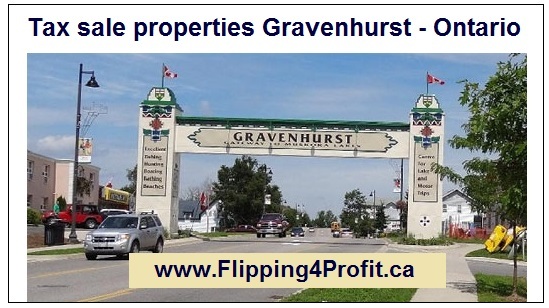 Lots 19 and 20 N/S Private Rd, Plan 12 Gravenhurst; The District Municipality of Muskoka; File No. Concession EMR Morrison as in DM272652; Gravenhurst; The District Municipality of Muskoka; File No. interests, availability of road access or any other matters relating to the lands to be sold. encumber the land after the registration of the tax deed. This sale is governed by the Municipal Act, 2001 and the Municipal Tax Sales Rules made under that Act. Navtaj Chandhoke can be your next key note speaker for real estate/sales/marketing office meeting or Canadian real estate investment conventions, expos or trade shows. Please contact us for topics and availability. Please contact us directly at Pam@WorldWealthBuilders.com or 647-393-6100 to set up a session at your meeting or convention. P.S. Success isn't a matter of chance, it's a matter of choice. So it's up to you to make the right choice to become successful. If you don't know what to do it starts with making the choice to register for this LIVE real estate investors training in your town now at www.Flipping4Profit.ca and making sure you make the right choice to SHOW UP!!! Learn more to earn more!